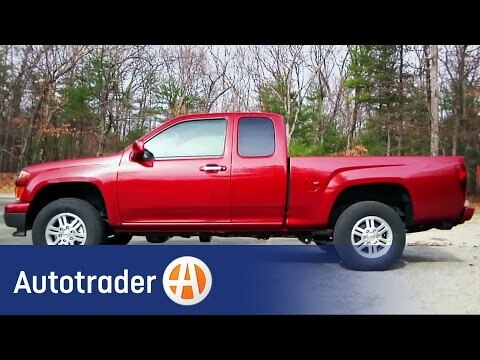 If your pickup's capabilities are more important to you than its fancy styling or cushy interior, the 2012 Chevrolet Colorado is a truck that should be in your driveway. Those worried about the cost associated with driving a pickup will appreciate the base model's impressive fuel economy and surprisingly strong 4-cylinder engine. Reliability is the most important thing about my colorado. I like my 2012 Chevrolet colorado. I purchased it new and it has proven to be very reliable transportation for me as I have had no major issues a all with it. I don't get as good of gas mileage as I thought I would, however for a truck it is acceptable. I wanted a smaller truck and this model fits the bill perfectly and is surprisingly easy to handle. The body style itself is extremely pleasing to me, and I can honestly say I have not seen a better looking truck style out there. It is an extremely comfortable ride as well. I have driven this car to work 5 or 6 days a week consistently, as well as several out of state trips and I can say that it has always been more than reliable for me. Without a doubt, if given the opportunity to do it all over again, I would. I have never regretted my decision to go with the Chevrolet line of trucks. If you change your own oil, you can only use synthetic motor oil. What I like most is the fuel efficiency of the 4 cylinder engine. I also like the cab space for a compact truck. I moved from a full size truck with a v8 into the Colorado so I miss the power sometimes, but since I do not do any major hauling I smile at the fuel pumps more. I also like that regular maintenance items like oil changes, tires, and brake pads will be less expensive. I took a road trip from Tennessee to Montana in 2017 and the only real complaint was the power loss when climbing the big horn mountain ranges in Wyoming. I think the 4 speed transmission should have been a 5 speed for better gear options. Beauty and reliable performance combined. My 2012 Chevy Colorado has been very reliable. I love how it drives and rides. With over 1. 5 ton towing capacity it is quite a workhorse for it is size. It drives very well while towing, even in mountainous terrain. It is very peppy and gets great gas mileage for a truck. The cloth seats are very comfortable and are easy to clean with a damp cloth. I love the way it looks. There is not anything about it I do not like and I cannot imagine trading it in on anything else. GENERAL MOTORS (GM) IS RECALLING CERTAIN MODEL YEAR 2012 CHEVROLET COLORADO AND GMC CANYON VEHICLES, MANUFACTURED FROM SEPTEMBER 9, 2011, THROUGH OCTOBER 19, 2011, FOR FAILING TO COMPLY WITH THE REQUIREMENTS OF FEDERAL MOTOR VEHICLE SAFETY STANDARD NUMBER 208, "OCCUPANT CRASH PROTECTION." THESE VEHICLES MAY HAVE BEEN PRODUCED WITH DRIVER SAFETY BELT BUCKLE ELECTRICAL CONNECTOR TERMINALS THAT DO NOT FIT SNUGLY WITH THE CONNECTOR PINS, CAUSING THE CONNECTION TO BE INTERMITTENT. THE LOOSE CONNECTIONS MAY CAUSE THE DRIVER TO NOT RECEIVE A VISUAL OR AUDIBLE WARNING THAT THE DRIVER SEAT BELT IS NOT FASTENED, THEREBY INCREASING THE RISK OF PERSONAL INJURY IN THE EVENT OF A CRASH. GM WILL NOTIFY OWNERS AND DEALERS WILL REPLACE THE SEAT BELT BUCKLE ELECTRICAL CONNECTOR TERMINALS FREE OF CHARGE. THE SAFETY RECALL IS EXPECTED TO BEGIN ON OR BEFORE NOVEMBER 30, 2011. OWNERS MAY CONTACT CHEVROLET AT 1-800-630-2438 AND GMC AT 1-866-996-9463. General Motors is recalling certain model year 2010-2012 Chevrolet Colorado and GMC Canyon vehicles manufactured from November 9, 2009, through August 28, 2012, for failing to comply with the requirements of Federal Motor Vehicle Safety Standard No. 113, "Hood Latch System." The hood may be missing the secondary hood latch. If the primary hood latch is not engaged, the hood could open unexpectedly. During vehicle operation, this could obstruct the view of the driver and increase the risk of a crash. General Motors will notify owners and instruct them to inspect their vehicle for the presence of a secondary hood latch. Dealers will replace the hood on any affected vehicles, free of charge. The recall is expected to begin on January 17, 2013. Owners may contact Chevrolet at 1-800-630-2438 or GMC at 1-866-996-9463.